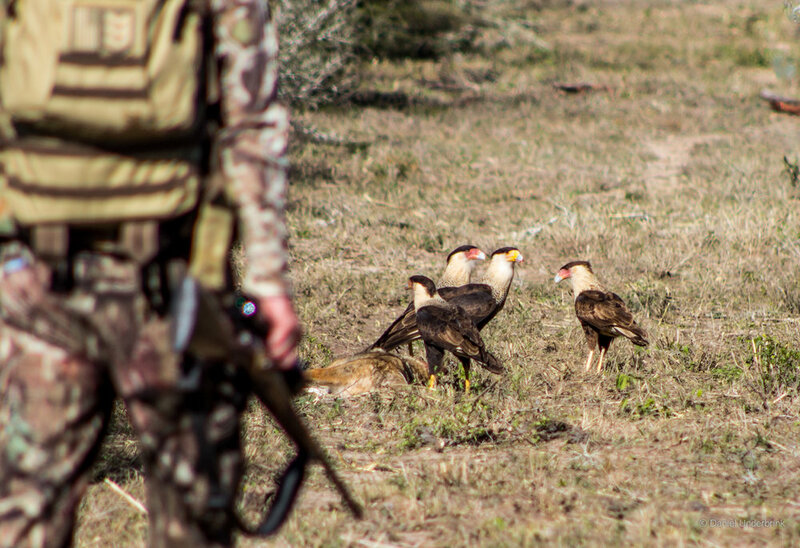 Mike walks up to his first Coyote harvest but the local caracaras got there first. Daniel took Mike on a spontaneous hunting trip to the Texas brush Country to put meat in the freezer before the season closed. Join in to listen to us jaw about the stories of the day and the differences hunting our home states. Mike Skinning out a Javelina. These are usually thought of as an animal to leave for the local predators but prepared correctly can be a great addition to the menu. This is a recipe I have been using for a long time to cook wild game that delicious and a hit for first timers and children. It is simple, tasty, and versatile. Better campside cooked in some seasoned cast iron. I use lean cuts of meat tenderized manually. Paired with mashed potatoes, steak fries, or your favorite veggie. Cook times will vary on the thickness of cuts. 3 tablespoons season all or a cajun season blend like Tony's, Camp dog, etc..
Whisk the egg and milk in a medium bowl an place Game meat in the bowl and mix well coating all meat. Take one piece of game from the Egg mixture, dip in the flour mixture, then gently press the flour into the chicken, and set on a clean plate. Repeat with the remaining pieces of game. Heat the oil in a large frying pan over medium-high heat (350 degrees). Add the game pieces to the pan (work in batches) and brown on each side, about 8-10 minutes total. Use a spatula to transfer the chicken nuggets to a paper-towel-lined plate. Salt while hot and serve with the Pan Gravy below. * Soaking wild game in Milk for a min of 4 hours prior to cooking is a tried and true method used by many sportsman when preparing wild game. Heat 2 tablespoons oil in pan you fried the Javelina Meat in over medium heat. Whisk in 4 tablespoons seasoned flour constantly for about 1 minute. Stir in pepper and salt and continue cooking.